A real estate agency is one of the business that requires most organization. Since it is such an important economic activity, everything has to be controlled and perfectly organized, and InmoComputer is an application that has been tailored just for that purpose. This software will help any real estate agency to have everything at a click of the mouse by means of a well kept interface. 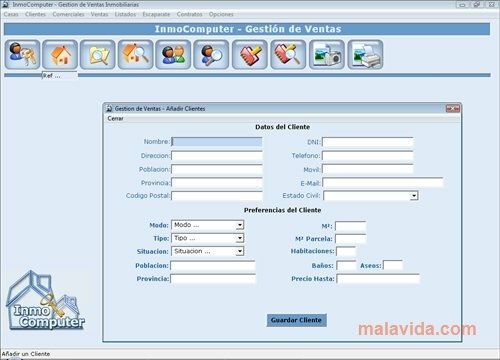 A set of big buttons will allow us to access the owners, clients and the properties databases, and in general all that is necessary in the day to day of this kind of businesses. 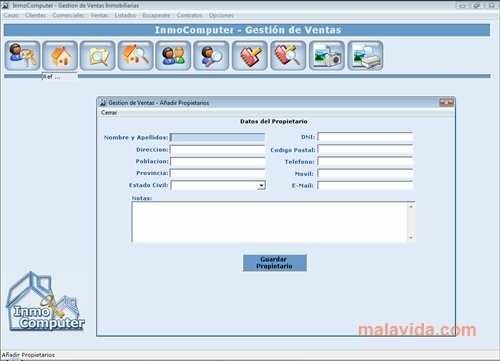 What's more, InmoComputer allows the user to add the templates of the documents that are going to be used, like for examples invoices and contracts, allowing the possibility to customize them as much as possible. 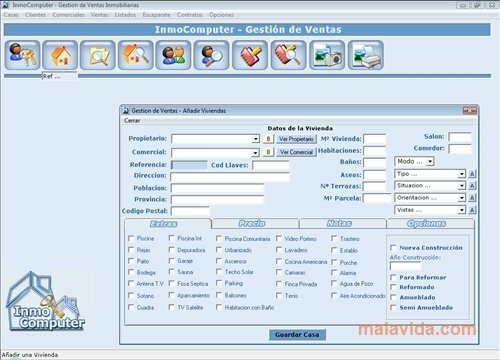 InmoComputer will also help any real estate agent to organize his agenda, with a complete calendar that can be used to write down the appointments, engagements and meetings. And of course, the files for each property are really complete, with all the necessary data so that when it shown to any possible buyers they will be perfectly informed about all the data concerning the property they are interested in. The trial version can be used 15 times.